Add a fired-up spark to your next conference! Be more balanced, productive, creative, and energized! She is a one-person powerhouse when you need to Get Fired Up…Without Burning Out! Carol will share her exclusive 3-step formula that works. She will get your audience thinking, laughing, and fired up to take action. Audiences love Carol because she is the real deal. She will share her simple solutions to overcoming obstacles and getting results. 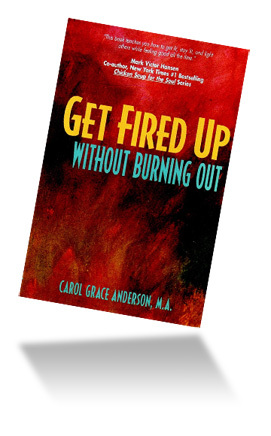 Carol doesn’t sugarcoat the real world, but she’ll give you practical steps to get and stay fired up… even in tough times!. Posted on 10/30/2018 10:25 AM by Carol Grace Anderson, M.A. Posted on 10/30/2018 7:59 AM by Carol Grace Anderson, M.A. When we were kids we were full of wonder, energy, and excitement. Then the grown ups got involved. We heard things like “Sit down. Grow up. Be quiet!” They meant well… but there went the fun. I remember running barefoot through green fields when we visited Grandma at the dairy farm. It smelled like spring and felt so free. And at Christmas I jumped for joy after opening that pretty, pink jewelry box. I think it cost $1.99. I’m sure you have some joyful memories too. We can bring some of that fun factor back and still be responsible adults. It’s all about our choices. We can always “act our age” or free up our perception and allow more fun to seep in. 1. Decide that you will be more childlike more often. Go ahead. It may take some practice to get in the groove. Try dancing around the room to some rockin’ music to get started. 2. Discover things that remind you of fun and joy you had as a kid. 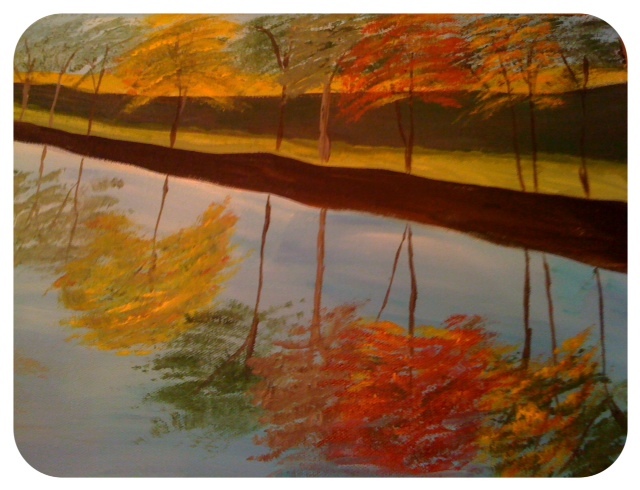 Visit the zoo with friends or family, ride a bike, go to the circus, get a paint set and go crazy. 3. Devote yourself to sticking to it until it becomes a habit. Fun is a powerful stress reliever. It enhances our mood, improves our creativity, and even raises our productivity. Zappos and Google are two examples of wildly successful companies that encourage employees to have fun at work. It pays off! Life is short. Savor the moments. Throwing fun into the mix will help you to keep fired up!